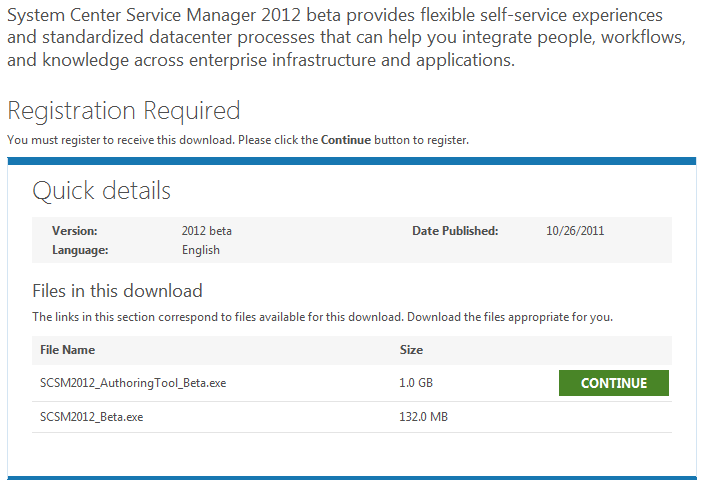 Microsoft System Center Suite: Service Manager 2012 Beta has been released!! 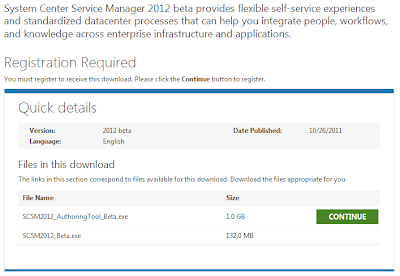 At last, the Beta for Service Manager 2012 has been released. Installation hasn't changed that much from 2010, other than it explains the pre-requisites a bit better and Share Point Foundation or above is now required for the Self Service Portal. The hardware requirements for the servers hasn't changed, but some of the software requirements have. Windows XP and Server 2003 is no longer supported for the console, time to migrate if you haven't already! Firefox is not (presently) a supported browser for the Self Service Portal. Installing/upgrading the Beta edition will provide a time limited 180 day version, even for fully licenced 2010 installs. However, the ability to upgrade to RTM, and the non-time limited select version is expected to be possible. The upgrade from Beta to RTM is NOT supported by Microsoft, other than for TAP customers so do NOT be upgrading your production systems with the 2012 beta, this is purely available for you to test in a lab environment.